This post is from Dr Helen Brooks, Reader in Theatre and Cultural History at the University of Kent and was originally published at copyrightliteracy.org. Since 2017 Helen has been Primary Investigator on the Great War Theatre project: a public-engagement volunteer project which researches and makes available historic play manuscripts from the First World War. I was very pleased that Helen agreed to write this post as we have been working on the copyright aspects of this project for some time and we have finally completed the copyright guidance and rights statements. Having tested Helen’s patience with my pedantic attention to detail over every aspect of copyright, it’s great to finally be able to make these important historical documents available under clear reuse terms. In September 2014, just over 100 years after the outbreak of the First World War, I was in the British Library, digging around in the archives of the Lord Chamberlain for plays written and performed during the war which dealt with the conflict. On discovering a wealth of fascinating plays about the war – including patriotic recruiting sketches, spy melodramas, poetic dramas, trench comedies – I wanted to find ways of making these unpublished and long-forgotten plays more widely available, not only to researchers who could not access the British Library, but also to school and university students and to the general public. As a result, what began five years ago as a small individual research project blossomed into a long-term recovery and digital publication project: the Great War Theatre project. One of the key aims of the Great War Theatre project is to make plays associated with the First World War available to anyone wanting to read, learn about or perform them with as few barriers to access as possible. As the majority of these works have never been published, and were written by playwrights whom we had never heard of, there were various challenges to tackle. The first step was to identify which plays to make available, and develop a means by which they could be searched and made available online. From the Lord Chamberlain’s daily record of what was licensed, I knew that there were around 3000 plays licensed over the course of the war. 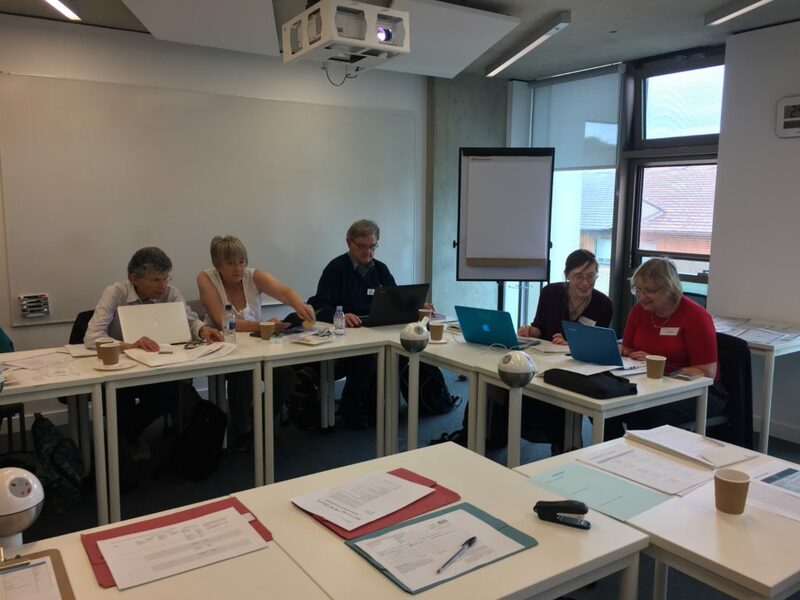 With the support of a Public-Engagement with Research grant from the University of Kent, I was then able to recruit a team of 40 volunteer researchers. Together, between March and September 2016 under the project heading ‘Recovering First World War Theatre’ we worked together in the British library manuscripts reading room, creating a spreadsheet of all the plays licensed during the war. This spreadsheet included key data on each script which now sits at the heart of the searchable online database which was created through funding from Gateways to the First World War consortium, the Arts and Humanities Research Council and the University of Kent. Where we felt a play was about the war – which it turned out applied to around 900 plays – we also included a transcription of the one-page licensing notes, including a summary of the play. It was this summary, and the insight it provided into these war-themed plays (we could not, after all, read all 900 plays!) which helped us to begin identifying those which we wanted to make available through the project website, although it remained a rather long list! Due to time involved, the number of playwrights to search, and the genealogical skills required, we knew we could not identify the rights status of these works ourselves but would need a team of volunteer researchers. With funding from the Arts and Humanities Research Council, Gateways to the First World War, and the University of Kent, I therefore relaunched the project in Spring 2017 as ‘Great War Theatre’ and put a call out for volunteers to get involved. To my great surprise, over 250 people registered as volunteers nationwide, over 50 of whom remain with the project today, with new volunteers continuing to come forward. The work of identifying the rights status of each play continues to be fundamentally reliant on the generous time, efforts and skills of this wonderful team of people. Whilst many volunteer research projects demand a certain amount of contact time in an archive, one of the great appeals of the GWT project, it turned out, was the fact that volunteers could work online, at their own pace and with no deadline. This flexibility enabled volunteers with other commitments to fit the work into their lives rather than vice versa. And whilst they largely enjoyed working remotely, the private Facebook™ group proved a popular means for sharing findings and asking for advice. The task of developing a diligent rights clearance process which was easy to follow by this large number of volunteers, all working remotely was a challenge. A significant amount of time was therefore put into the planning of this, in collaboration with Chris Morrison of the University of Kent Copyright team. We decided to create a cloud-based (using Google Drive) spreadsheet in which volunteers could both access guidance, and record their findings as they undertook their searches. A template was therefore designed, and each time a volunteer began a search they would be allocated a copy of this template, which would include the specific information about ‘their’ playwright, which in the majority of cases was only a name and the play, or plays, we knew they had written. The search spreadsheet asked volunteers to record which resources they had searched, what search terms they had used and whether they had found any useful results. This ensured that it was easy to verify that a diligent and detailed search had been undertaken. This was of particular importance if we wanted to go forward with registering the playwright’s works under the EU Orphan Works exception (see below) and if we felt that a further searches needed to be undertaken the playwright would be marked for re-allocation to a different volunteer. If a volunteer did find useful information in their search, they were then asked to fill in further fields including on the specific source, date and what information it included. If they found a date of death, they were also encouraged to find a second source for this where possible. The main page of the search spreadsheet presented the volunteer with a list of all the resources they should search in order to try and find a date of death. The list was based on the Intellectual Property Office’ ‘Orphan Works Diligent Search Checklist: Literary Works’ (2015), and the ‘Orphan works diligent search guidance for applicants: Literary Works’ (2015). From the ‘Diligent Search Checklist’ we drew in particular on both the ‘published books’ and ‘stage plays’ list. We then added in a large number of additional sources. On the advice of Jessamy Carlson of The National Archives we included genealogical tools including Ancestry, Findmypast, the International Genealogical Index, Free BMD, Deceased Online and Find a Grave. We also included online newspaper archives such as the Stage magazine; the British Newspapers Archive; Welsh Newspapers Online, the London Gazette and the New York Times. Finally, we added library databases (Oxford, Cambridge, Scotland and Wales). To aide volunteers in their searches, the search spreadsheet provided a url link to each resource, and placed the resources in order of likely usefulness. One of the key things we were interested in was developing a useful search checklist for other researchers to use on similar projects. In the first version of the spreadsheet (which has been refined and made more user friendly over the course of the project in response to volunteer feedback) we therefore asked volunteers to record how long they had spent using each resource, and to score a resource’s usefulness. Based on this feedback we then changed the order of the resources in the template and after a six-month review, removed some resources (where no information was ever found) entirely from the list. Once the process had been developed, training days were held in London, Kent, Leeds, Bristol and Glasgow, and for those who could not attend in person, an online-training package was developed and shared via the project’s shared Google Drive folder. A volunteer handbook and volunteer agreement was also created, drawing on best practice from the charities sector where volunteering is common practice. The training included talks on copyright, explaining the importance of the diligent search in relation to the aim of the project in making the works accessible; and on genealogical searching, with hints and tips on difficult searches. Search results on a playwright result in their works either being clearly identifiable as being in the public domain (where the playwright has died 70 or more years ago), or being in copyright (where the playwright has died less than 70 years ago). In a small number of cases however no date of death can be found: so far this has only been the case for 15 out of 219 searches. Public Domain: Out of the 204 searches which have returned a date of death, 134 playwrights died in 1949 or earlier. In these cases we are therefore able to begin making these playwright’s works available either as copies transcribed by volunteers on the project, or as digital copies of the original manuscripts provided by the British Library: this latter option being possible after confirmation from the British Library that they do not make any claim to the copyright of digitised copies they have provided. In Copyright: Of the authors whose work remains in copyright – 70 authors to date – in the few cases where a descendent has been found, we have got in touch and asked permission to make the work(s) available under a Creative Commons-Attribution-NonCommercial-NoDerivatives licence. Excitingly, in one case, the great-niece of a playwright was already doing her own research and is now working with us to make the playwright’s work available via the project website. Orphan Works: Often however, it is very difficult to identify a descendent, or after multiple attempts to get in touch there is no response. In these cases, as well as in the few cases where no date of death has been found, we have made a decision to register works under the EU Orphan Works exception and we have now registered 14 works under the EU OW exception. To date we have been able to make 47 playscripts available, 23 of which have been transcribed by volunteers, and we continue to work to make more scripts available. A measure of its success is the fact that over 50 volunteers want to keep doing research into these long-forgotten playwrights two years into the life of the project. Each week we get new results sent in and we allocate new playwrights to be researched. With a core of researchers who have now also undertaken large numbers of searches we have also developed valuable ‘in-house’ expertise. 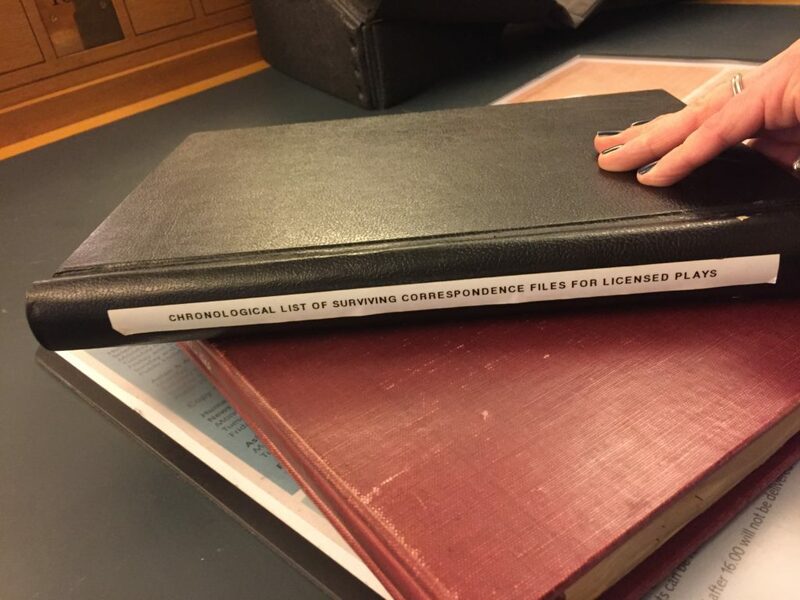 I’d like to thank Helen for sharing her experiences of managing an important but complex historical digitisation project with copyright implications. It is worth clarifying that although we have used the EU orphan works exception to make some of these plays available, which will no longer have effect in the event of a no deal Brexit. The experiences of the British Library demonstrate the implications of this for higher risk content and we strongly support the work of the Library and Archives Copyright Alliance (LACA) in advocating for a workable orphan works solution equivalent to the EU exception if this is no longer available.